Ring News 24Boxing News Breaking Boxing NewsCotto v Kirkland Off: Who Should Miguel Cotto Fight Next? It has come to light that Miguel Cotto’s 25th February clash with James Kirkland has been called off. Former Saul Alvarez knockout victim Kirkland has suffered a broken nose in training, effectively cancelling the bout, with no sign of it being rescheduled. This may leave the Puerto Rican boxer free to move on and select another opponent. But who could it be? Let’s look at several possible options. Many fans found this fight intriguing but a disagreement on the weight restrictions would mean that negotiations would eventually fall through, which they did late last year. Marquez has not fought since 2014 when he beat Mike Alvarado by a decision. The Mexican has since been sitting on the sidelines looking at any offers that have been going his way. He is still free to fight so might negotiations with Cotto and his camp reignite? Golovkin, also known as GGG, has a huge fight with Daniel Jacobs on March 18th. But if Cotto bides his time, and providing GGG comes through, then another fight involving a prime boxer at the top of his game vs a boxer that has seen many big days in the past could be made. Cotto ran Alvarez pretty tightly so it’s not really silly to say that he does not deserve an opportunity. British champ Saunders had a lacklustre, but hardly taxing, points win over Artur Akavov at the beginning of December last year. 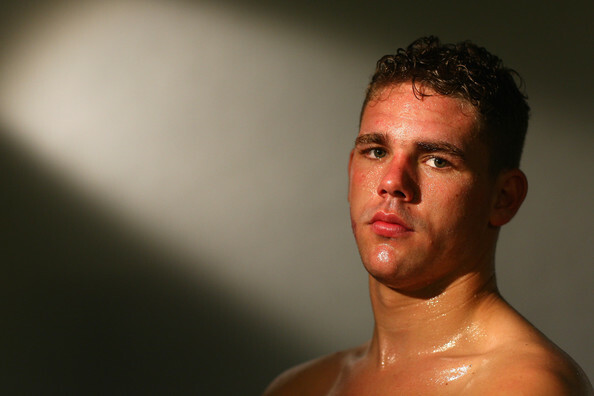 It would be a fight that would benefit Saunders more than the former multidivision champion. As it stands right now, the former Olympian is a big name in the UK but not in the US. However, it would be another belt to add to Cotto’s collection and it is one that he may see as relatively high reward for low risk. It is a possibility! Chris Eubank Sr has been making a lot of noise lately, stating how his son would “wreck” fighters like Andre Ward and Gennady Golovkin. Those statements should be taken with a huge pinch of salt, and Eubank Jr has a fight coming up this weekend and probably would not be ready any time soon for another bout. He also doesn’t bring much to the table but does have a lot of athleticism in his style of boxing. Cotto would do well to avoid him at the moment. Lara has just captured the middleweight IBO and WBA Super World super welterweight title. Boy, that last one would be a mouthful! Anyway, Yuri Foreman was the opponent that succumbed in 4 rounds in January. Obviously Lara has some belts but he is also another one in his prime that has given Saul Alvarez fits. If Miguel Cotto wants another tough fight on his hands then there is hardly anyone that possesses a more trickier and elusive style. 26 year old Jermall Charlo is the IBF light-middleweight champion. He has made three defenses so far and has caused some carnage along the way. He has proven to have power in both hands, and even his jab has made opponents take the referee’s count. He still needs a defining fight to elevate his name further and him trying to stop Miguel Cotto, albeit a possibly faded version, would still make people take notice. Charlo will surely only get better and the risk certainly matches the reward! Saul Alvarez made a meal out of Smith in September, 2016 and is going for the WBO European championship in April, fighting Liam Williams. He has nothing much of value to offer Cotto at this point, and besides, Smith himself would possibly want to avoid former elite fighters right now. At least until he rebuilds himself a little. Trout and Cotto have history together. The Madison Square Garden crowd puller shockingly lost to Trout via a points decision in 2012 and it was said that the curtain was about to close on Cotto’s career. Of course, he would go on to win another world title and take part in more huge fights. The New Mexico resident lost to Jermall Charlo in May, 2016 in an IBF title bid. But Austin would surely take the opportunity to face Cotto again, and a win would potentially give his career back some life. But Miguel had a torrid time with him in their first fight and couldn’t deal with his pure boxer style effectively. If anybody is responsible for not making the rematch then bet that Cotto would be the odds on favourite to not want it.